By now, I think that we all now that while I like to cook, I love to bake. So, when the folks at C&H Sugar offered me a chance to bake a recipe from their site, blog about it, and they'd even throw in a $20 gift card to cover my expenses, of course I was going to jump at the opportunity!! What to choose, what to choose...it was hard picking! 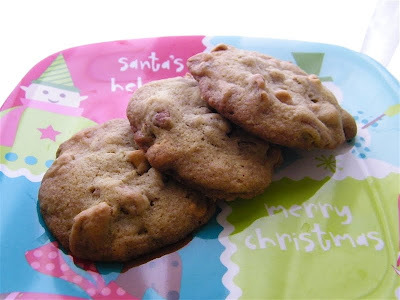 I finally decided on Butterscotch Pecan Cookies, which is actually a recipe to make a mix in a jar for gift giving. But who wants to give a mix for a recipe they haven't made? That's what I thought. I decided to pick something just a little bit different, and the butterscotch sounded like a nice change from all the chocolate you get this time of year (not that I'm hating on chocolate, by any means, lol!!). I must have made them bigger than I was actually supposed to, because I didn't get the three dozen the recipes states it will make. No matter though! They smelled very yummy while baking, and tasted even better! The plan was to send them with D to work tomorrow...not sure they'll last that long. 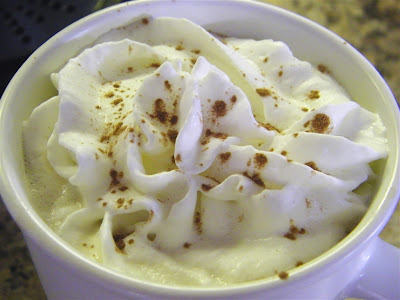 In a large mixing bowl, cream together butter, egg and vanilla until combined. Add brown sugar and mix well. 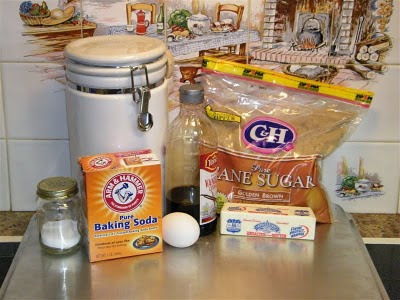 Add flour, baking soda and salt and stir until thoroughly moistened. 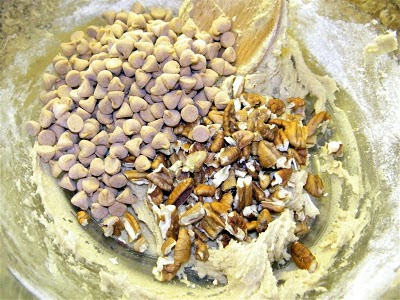 Stir in butterscotch chips and pecans. 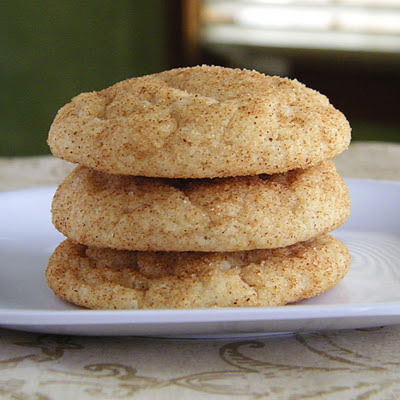 Drop by rounded teaspoonfuls onto a greased cookie sheet. Bake 9-11 minutes or until lightly browned.